Are you worried about your child’s progress this year? How do you know if she is demonstrating symptoms of a learning disability? Is it time to worry? At some point, most of us get worried. Homeschooling is hard and not every child is doing the same skills at the same time. On one hand, is family asking why your child is “behind” the little girl next door. On the other are friends who say not to worry and that your child will eventually “get it in their own time.” It can be hard to know if you really should be worried about your child’s learning difference or not. While some kids may need a little extra time to catch up, some children really do need a different learning tool, tactic, or other special help. There are many different learning disabilities with a lot of different and often overlapping symptoms. It can be hard to determine if your child has dysgraphia or dyscalculia for example. Children can be gifted in one subject area and struggle in another. Some kids learn how to overcome their learning disability on their own. It is often enough to get by for a while but then they hit a wall at some point. They are no longer able to compensate enough to keep up with their school work. For many of us, the first hint that we have a real problem is the end-of-year testing. If your child does well on one part of the test and horribly on another, that is a clue you have a problem. A typically developing child will have scores that are generally all within a couple of stanine of a test. To put it another way, test scores will all be within about 20 percentage points. So, a normal grouping of test scores would be between 60th and 80th percentile, or 79th to 99th, or 50th to 70th. If your child has one or two scores that fall well outside of this range there are a few things to consider. First, did you teach the material in a way that helped your child succeed at the test? One year, my child failed a grammar section on our end of year testing. Looking more closely I found two reasons. I had not done a great job teaching the use of commas. But, additionally, the test was laid out in a worksheet style that she had no experience with. This caused her to panic and miss many of the questions. This is relatively easy to address. Once you have determined where the gap is you can make sure to cover that gap in next year’s plan. For example, over the next year, we not only used a different grammar program and we took some time in the spring to do a test prep book. Practicing the test helped her with the multiple choice format. Her scores improved dramatically on the next test. If you know you taught the material, or your child scores extremely well in one area of reading or math, and horribly on the other, a learning disability could be to blame. A child who scores well on math concepts but poorly on math computations may, in fact, have dyscalculia. Dyscalculia is a learning disability that affects the ability to memorize math facts and deal with numbers. Students with dyscalculia may struggle greatly to memorize multiplication tables, count on their fingers, or struggle to do simple mental math. They will often need compensation strategies to do well in math. Such strategies include a written copy of the times tables to refer back to or to use a calculator sooner than you might otherwise. Many of these students still do fine at identifying shapes and other skills that are on the concepts test, which results in the discrepancy. Students who have scores that vary greatly on the reading sections, decoding words vs. reading comprehension, may have a form of dyslexia. Most of us think that dyslexia is all about seeing letters backward. If a child develops basic reading skills by age 8 then they cannot have a learning disability, right? That isn’t necessarily true. Dyslexia is actually an umbrella term for many issues a child can have with reading skills. A professional can help you determine if your child needs more work with decoding or comprehension based on what your test scores have revealed. There are other forms of learning disabilities that can affect your child, and may or may not affect end-of-year test scores. 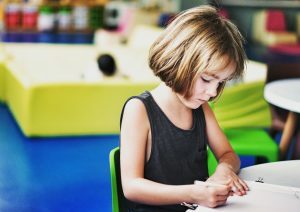 Dysgraphia, visual processing disorder, and auditory processing disorder can all lead to struggles with end-of-year testing But these may have more to do with the way the test is presented. Therefore, they can be harder to pinpoint as the cause of strange scores. If you suspect your child is struggling more than they should, or your test scores seem to indicate an issue, the next step is to learn more about learning disabilities. I found a very helpful checklist at the website for the Child Development Institute, Keep in mind, a checklist and test scores are just a way to determine if you should have your child further evaluated. 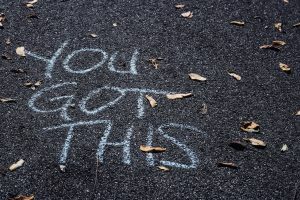 What if you don’t do end-of-year testing or your child is still very young? What are signs to watch for, and what struggles should you be aware of? Reading is the first skill most parents worry about. In today’s public schools, children are expected to start reading at age 5 and achieve fluency in first grade. Waldorf schools, and other alternative school choices, often delay reading until age 7 or 8. But, what are the signs that your child isn’t just going to learn to read a little later but has a real problem or learning disability? Before learning to read, a child has to develop strong visual discrimination. Start with being sure your child can identify a large number of shapes. If your child struggles to see the difference between a square and a rectangle or a circle and an oval you should probably take your child to see an ophthalmologist to rule out a need for glasses. Letters are much harder to tell apart than shapes. If your child continues to struggle to tell apart letters past the age of 8, vision therapy or a reading specialist may be the next best step. Some children will continue to confuse letters, turn them upside down, and struggle to match capital and lower case letters, despite having perfect vision. These struggles are normal for the 4- to 5-year-old. However, most children that age can learn to recognize their own names. If your child is still struggling with these skills at 6, 7 and 8, you may have a child who needs a professional evaluation. Try playing with letters and words in a different way. Use magnetic fridge letters or puzzles. You can get Montessori-style wooden letters, making reading a more tactile experience. Children who struggle to make rhymes, remember simple songs and poems or confuse similar words, may be showing signs of a learning disability. The more signs your child has, the more likely you need an evaluation. Handwriting is an untested but important life skill. 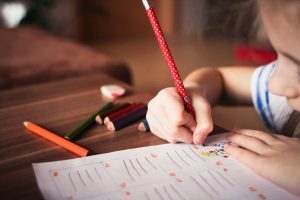 If your 5-year-old child cannot hold small items, like crayons, in a pincher grasp, she might have a fine motor delay that will later affect handwriting. Children need to learn to hold a crayon, color and draw before learning to write. Kindergarten is the critical time to learn that skill. You can work on this skill by doing lots of tasks to strengthen little fingers. Play with play-dough, tweezers, tiny blocks, and buttons. Sew or finger knit. 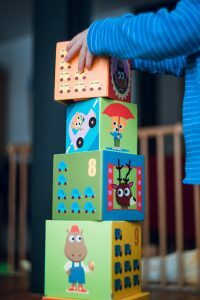 If your child cannot hold a pencil with their fingers and is still using a fist by age 6 you may need to find an occupational therapist to work with your child. Interestingly, poor fine motor skills may also be linked to dysgraphia. Dysgraphia is a learning disability linked to writing. Children with dysgraphia, struggle to remember how to write letters and words. They may read fluently, but can’t seem to recall how punctuation or capitalization works. While some children are not ready to learn to write fluently at an early age, they should be able to copy short phrases or sentences after learning the letters, usually by age 7. If your child struggles greatly with written work, don’t give up on it. Try different styles and methods. Practice writing on an easel, with finger paints, or with markers or chalk, to change things up. Children with dysgraphia may benefit from simpler handwriting styles, like that used by Handwriting Without Tears workbooks. Occupational therapy may also help. Can your child follow 2 or 3 step verbal directions? Can she listen to a story and tell it back, or answer questions about it? Children who struggle with these skills may have an auditory processing disorder. Auditory processing disorder, APD, can disrupt a child’s educational experience. It can look a lot like ADD unless you realize that the child does fine with written or picture directions, just not verbal ones. Children with auditory processing disorder may also use the wrong words for what they mean to say, and not be as articulate as their peers. An audiologist can help make a treatment plan for your child, and some speech therapists have extra training in this as well. Similarly, visual processing disorder, VPD, can result in a child who cannot follow written or picture directions but who does well with verbal directions. 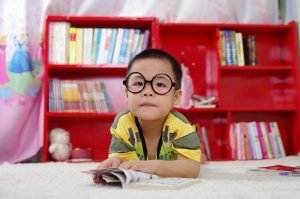 Children with VPD may struggle with reading, writing, and math, because their eyes have trouble tracking across the page, or keeping their place. Visual processing disorder has to do with how the brain interprets the information from the eyes, so children with this problem may also struggle with reading maps, working puzzles, or judging distance. A vision therapy program with qualified occupational therapists or pediatric optometrist may help. If you feel something is amiss with your child, it probably is. Parents know these things. 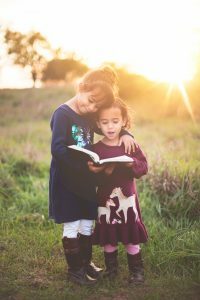 If you have one child who is learning at a different pace than her siblings and your gut says she is struggling too much, it might be time for an assessment. If you don’t know what kind of assessment your child needs, a pediatric psychologist may be the best place to start. A psychologist is able to give a variety of tests for a wide array of learning disabilities including those we discussed above. Knowing your child has a learning disability may help you find the right resources to know when to push your child, when to let things go, and when to adapt a lesson. Knowing you need to be more patient with a certain skill can help you and your child get through difficult learning situations and find more joy in your homeschool day. Need help with adapting lessons for your child's learning differences? Our programs are designed to be developmentally appropriate and adaptable to a wide range of learning differences. If your child has dyslexia, dysgraphia, visual processing disorder, ADHD, autism or another learning disability, we can help you and your child have the fun and engaging homeschooling experience you want and deserve. Previous: Previous post: Australia loves us! Homeschooling in Australia.